Attention!! It’s just distributed by this blog only!! so if you found it in other site without a credit, it means that they steal it from me. DON’T HOTLINK OR SPREAD IT OUT!! Try once, You DIE!! the exam, yeah it’s not easy …. 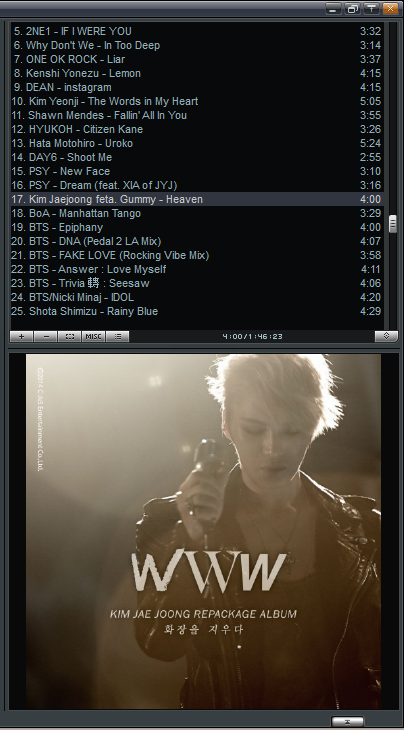 All that I know is I don’t post Junsu – Intoxication yet. haha..
Can’t wait to the full mini album? or single???? The music video is getting everywhere but he doesn’t release the mp3 officially yet. Well well well, I talk a lot ..
To the point, this is my new BoA artwork. I’m a big fan, no wonder that I created this for her XD. I’ll Be Hiatus : Mode On Because of Exam!!!!!!!!!!!!!! Hello! I was searching some stuffs about BoA, and I found your Blog, and I loved it! I’m a fan of J-Pop and K-Pop, mainly BoA-chan, Kumi Koda, SE7EN, Hikaru Utada and Namie Amuro. Your drawing style is awesome (I like to do some drawing of my favorite j-pop singers too ^^) But mine don’t come any closer than yours! Really beautiful! Congratulations! Nice hugs from Brazil!